The WPH 168 is one of Australia's first commercial portable heat pumps and it boasts a massive 5.5kW of heating and 4.9kW of cooling. 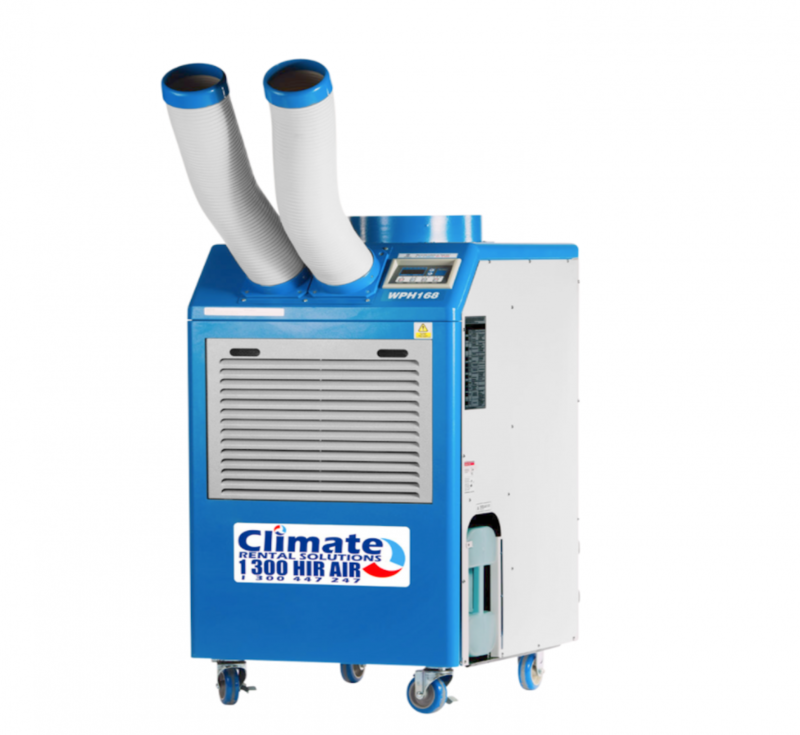 The WPH 168 is one of Australia’s first commercial portable heat pumps. The WPH 168 boasts a massive 5.5kW of heating and 4.9kW of cooling. This reverse cycle air conditioner comes complete with an intelligent control system, incorporating a fully adjustable thermostat, self diagnostic function, adjustable fan speed and an alarm to advise you when the condensation bucket is full. There is now no need for those small power thirsty electric heaters.